By Christa T. for Accordion Americana Grammy Award winning Accordionist, Singer and Producer, Joel Guzman was born and raised in the state of Washington. Migrating to Texas in 1978, the birthplace of his parents, the first person Joel met upon his arrival was Sarah Fox, who would later become his wife. They found an immediate musical connection and shared similar aspirations. 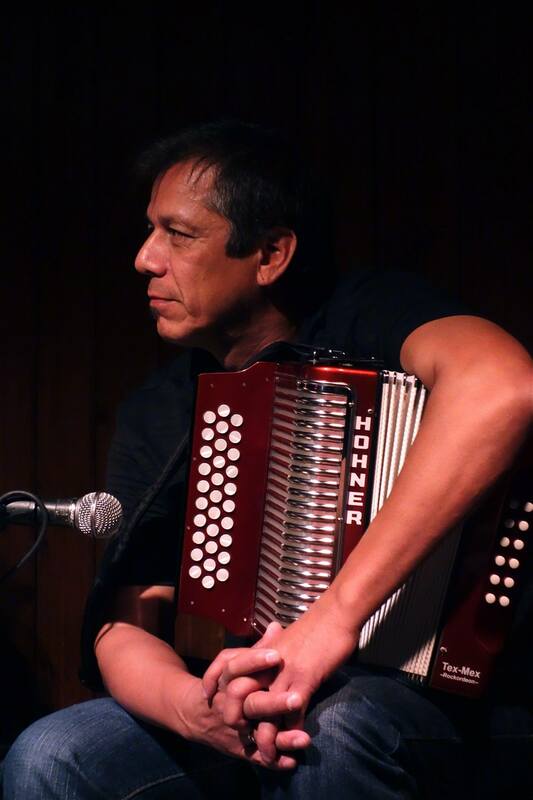 Collaborating with Sarah as a musician and singer-songwriter for more than 30 years, Joel Guzman has successfully pushed the boundaries of Tex-Mex music and the accordion. 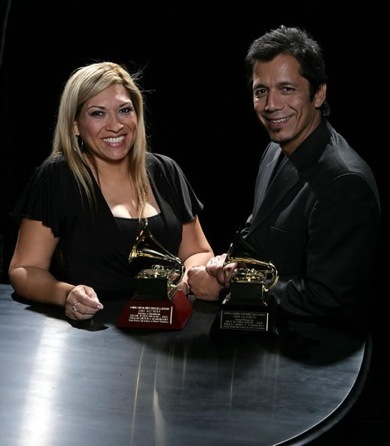 Together, Guzman and Fox have impacted the Tejano/Conjunto genre of music by blending it with Jazz, Blues, Country, Gospel, Folk, Latin Rock, adding elements of Cumbia and Salsa. 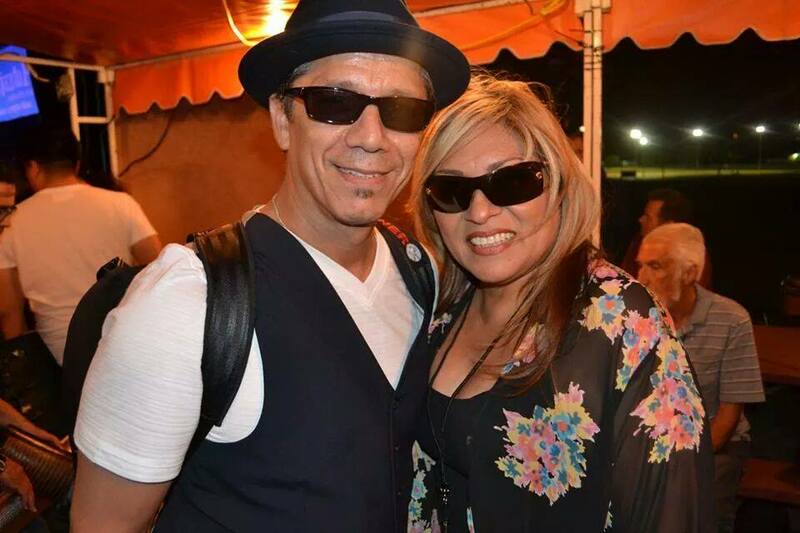 While respecting tradition, this innovative and dynamic couple may be in the process of redefining American popular music to become more inclusive of ethnic influences, while allowing Latin music to evolve within the American mainstream. Approximately one year later, Joel’s father realized that his son was unusually gifted and took him to meet the legendary accordionist, Oskar Hernandez. Upon meeting Joel, Hernandez suggested that he try a very challenging work by Rimsky-Korsakov, The Flight of the Bumblebee, likely thinking that it would keep the little boy busy for awhile. Joel learned the piece overnight, and when he arrived to see Oskar the next morning, Hernandez laughed and said, “I meant to learn it and come see me next year, but not this morning, again!” Hernandez became an important influence in the evolution of Joel Guzman as a professional musician. At about the same time, Joel realized that he should learn to play the acoustic guitar, so he studied both instruments, simultaneously. Oskar Hernandez was one of the few chromatic accordionists in Tejano/Conjunto music and was greatly influenced by Aldo Rizzardi, the reknowned Italian chromatic accordionist. There were not “a lot of players that were laying any ground work for chromatic” in that genre, so other than Hernandez, there were no other role models for Joel to emulate. Joel Guzman began to, and continues to adapt European music typically written for the chromatic accordion, to the smaller diatonic accordion.”I’m influenced by the European players a lot”. But he emphasizes that the accordion, as played in Texas is different than elsewhere” in the United States. “We actually developed a style based on the song form, the corrido“, a popular narrative type of song from Mexico. A corrido is often sung about romance, oppression, history or life experiences shared by a people. It might begin with a salutation from the singer, proceed with a prologue to the story, then tell the story itself, ending with a moral of the story, and finally a farewell from the singer. Joel is a proponent of using the basses more prominently in music, which are not utilized as much in Tejano/ Conjunto music. He has campaigned for a 40 bass section on the diatonic accordion, which Hohner now produces for Joel Guzman, who endorses Hohner Accordions. “My goal is to get all the kids…to understand the importance of the left hand.” He illustrates his point by saying, “I want to play piano but I’m just going to play with my right hand….You don’t need the left hand?” The left hand is important, because both hands must work together to produce music with the accordion, like every other musical instrument. After many years as successful partners in business and in life, Joel and Sarah still share the same aspirations that first brought them together: writing, composing original music, performing music around the world, and starting their own production company. 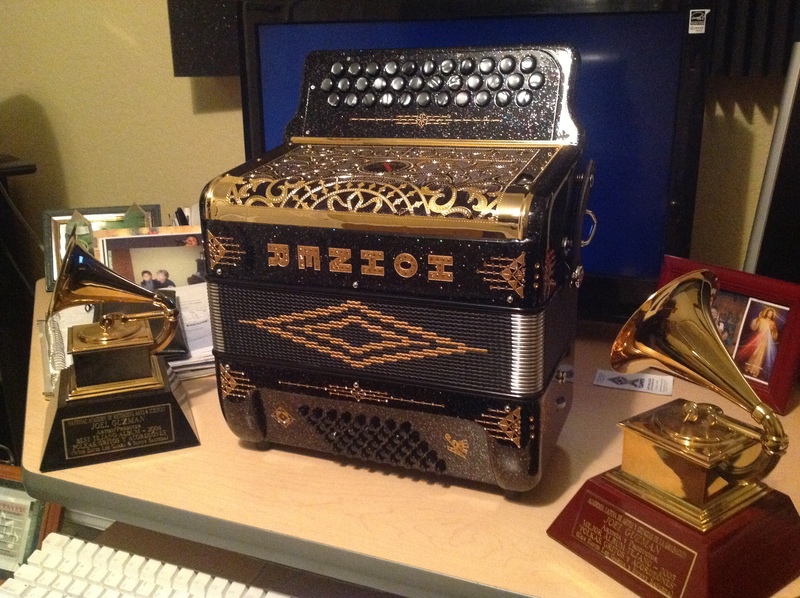 They have a son, Gabriel, who performs with his parents on guitar as well as accordion in Los Aztex. A new record is in the works featuring Los Aztex for Guzman Fox Records. Always curious about music, Joel Guzman is “still wanting to know how we can redefine music, how to make it better. How…not get caught up and be complacent with it just because it’s a certain genre…..We are always trying to go beyond the scope.” Joel Guzman is always learning and says, “My ears are always open”.